47.58 degrees North by 122.155 degrees East: a top secret blackberry patch adjacent to the offices of a major mobile communications provider. 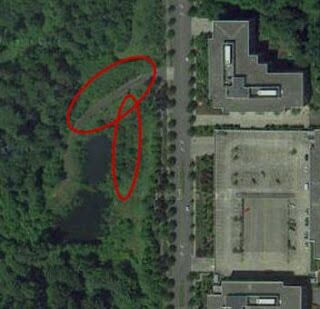 Initial reconnaissance by the operative codenamed “Homebrew” on Thursday, August 11 revealed an exceptionally large blackberry patch at a previously unsuspected location. Operative Homebrew was provided with special equipment and tasked with returning the following day to collect blackberries for homesteading efforts. What follows is his report of these activities. Operative Homebrew arrived as usual and maintained his cover identity of a business intelligence analyst for a mobile communications company. His typical cover was modified as he wore heavier than usual jeans and boots. 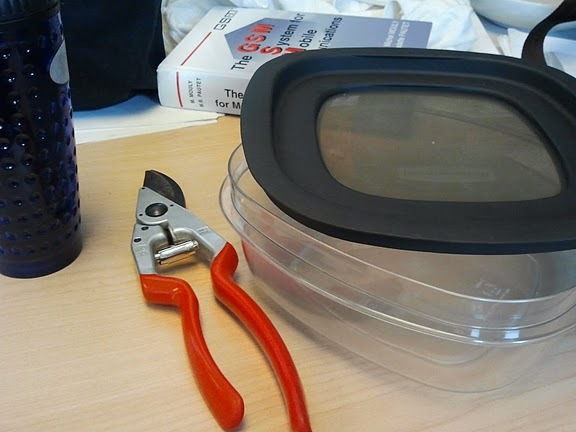 Concealed within a bag received as swag at an industry conference he carried several key pieces of equipment: three large plastic containers with lids, a long-sleeved sweater, a set of Felco clippers. Shortly after 09:00 local, having blocked his calendar to ensure time for picking, Operative Homebrew prepared for his picking mission. This involved changing from a fancy work sweater to a rugged gardening sweater. He then exited the building and crossed the street, apparently unobserved. 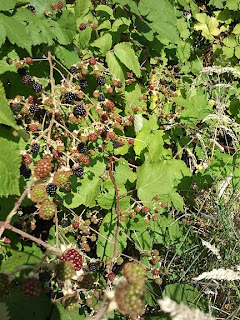 For approximately the next twenty minutes Operative Homebrew harvested blackberries, garnering slightly over a pound. The Felco clippers allowed him to remove obstructions to gain better access to prime fruit clusters. As Homebrew returned from his harvesting operation, two colleagues from the office encountered the operative and recognized him, placing the security of the operation at risk. During the subsequent elevator ride together, one of the colleagues gestured to the container of berries and asked, “Are you going to make some pie?” Homebrew replied, “More likely some wine.” This appeared to diffuse the situation. 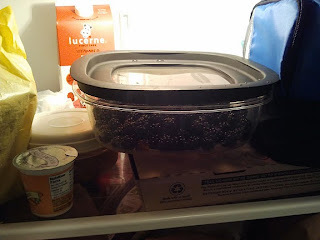 Once harvested, the berries were placed in the break-room refrigerator. 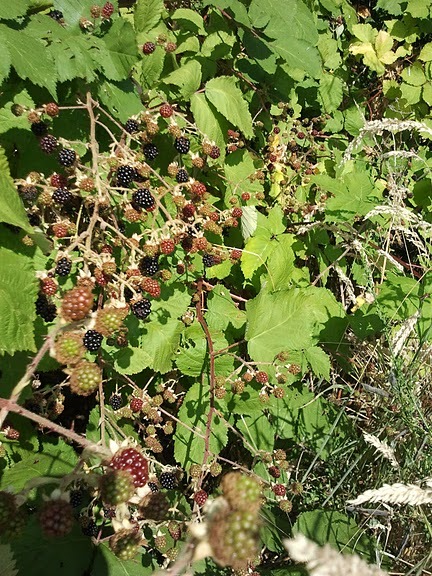 As the target patch was divided into two main sections, a subsequent sortee was made approximately two hours later that yielded a further two pounds of berries. The berries, Felco clippers, and spare clothing were all transported home in the swag bag. Unfortunately, the bag proved to have a defective zipper, creating a significant risk of loss to all harvested berries. Operative Homebrew persevered through a train ride, a bus ride, and a one mile walk, however, without loss of any fruit. Covert corporate gleaning can be a success. Operative Homebrew’s colleagues did not appear concerned that his berry harvesting activities risked undermining workplace culture. In general, gleaning actions were viewed with considerably less interest than his urban chickens (which have attained the status of folk heroes in certain company circles). The Felco clippers were useful but focusing on brief trips to collect easily accessible fruit proved more successful Since it is easy to revisit the site on a daily basis, there is little need to maximize return on any given picking trip. Free swag bags received from major industry corporate players appear to be of a quality commensurate with their cost. You rock, Homebrew! And I'm so happy that you didn't lose your clippers in the blackberry patch! Or were those false coordinates??? Please please please tell me there was some sort of personal theme music involved in this. Something Moby-ish would be ideal. I only pick in Federally protected wetlands to insure they didn't spray. Great find though. If nobody knows it's there, then nobody could spray, hehe.